Step inside this enchanted forest among fairies, gems and bonus features hidden away deep among the trees. Free spins, returning wilds, re-spins and many other fantastic features lie in wait for you as you enter the world of Goldwyn’s Fairies, a Video Slot produced by Just for the Win and released through the Microgaming network. Ever the charmer, Goldwyn the little fairy will conjure the brightest of spells and if she likes you, you stand to walk away with a nice bag of coins. 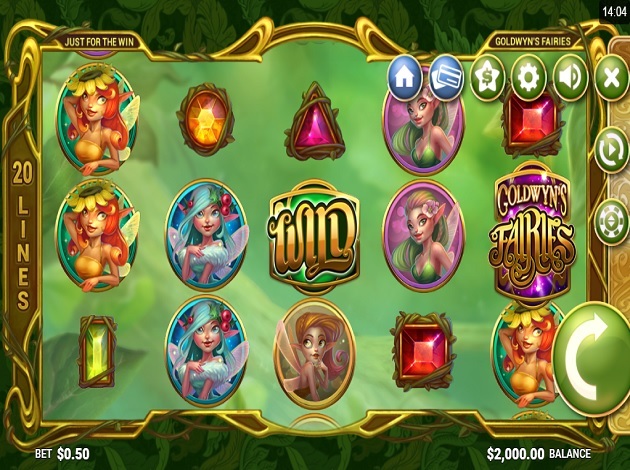 Goldwyn´s Fairies is a Video Slot brought to you by Just For The Win! Just For The Win is a game developer that puts its main focus on delivering fun gaming content, mainly as Video Slot games that are then delivered to the biggest operators around the world. The most important for JFTW is that they can assure the operators that with their games, they guarantee a fun and unique gaming experience for their players. JFTW is a new and fresh provider, launched as late as in 2016. It was established by a group of developers, game designers, and professionals with a vast experience – coming from some of the biggest names in the gaming industry. Right now, their team consist of 20 people of 11 nationalities, that all come together to create and develop new, innovative, and unique gaming cultures. 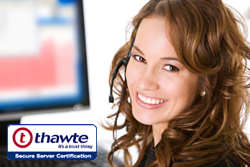 They strive to have a great communication and partnership with their clients and operators, making the step out in the business a lot easier. JFTW, so far, offers one game – this by the name of Goldwyn´s Fairies, and this is a perfect example and test of what JFTW can offer you. Fun themes, rewarding and innovative features, with a great deal of entertainment is what is being focused on. Goldwyn’s Fairies features 5 reels, 3 rows and a dazzling 20 paylines. With a Return to Player ratio of 96.28%, you may bet from as little as 10 credits up to a maximum of 250 credits. The potential jackpot is of over € 158! Goldwyn’s Fairies runs like a charm on all devices including PC, mobile and tablet. Once you’re in the forest, get spinning to discover the various prizes hidden in Goldwyn and her fairies’ lush green world. Beside the “normal” base game mode, Just For The Win have packed in another two game modes triggered by the appearance of two different Wild symbols. You will be able to create some combinations that are the stuff of fairytales through the Free Spin and Re-Spin game modes, where wild symbols will do to your balance more or less the stuff magic wands do. Goldwyn’s enchanted forest comes in a sweetly designed interface which will transform your screen into a mirror (a bit like that mirror on that particular wall). Fairy dust flies around the symbols after they land to form combinations, while the Fairy symbols themselves carry a mystic beauty. There’s a Fairy for each of the seasons: Winter, Spring, Summer and Autumn are the symbols which pay better (up to 12.5x for landing 5 fairies). The gems pay less – with a maximum of a 5x payout – although winning is relatively simple as you’ll need to hit three or more symbols on any of the twenty fixed paylines. Don’t forget, however the abundance of Wild symbols which are bound to boost your winnings at any time. There is no lack of magic in the Free Spins’ corner of the forest either. Free Spin symbols landing on the first, third and fifth reels will instantly conjure the Free Spins game mode. You be given 9 Free Spins and the Returning Wild feature will work its sorcery as Goldwyn herself will turn spaces on the reel into classic Wilds. Watch your payout mushroom as all the fifteen available symbols on the reels may be morphed into Wilds! At the end of the round you will be given a 10th and final Free Spin where the Free Spin Wild Symbol changes into a Classic Wild. Free Spins cannot be triggered again. There is also a Re-Spin feature, triggered this time by Fairy Queen Goldwyn appearing on the third reel. She will leave a nice, fairy-dusted Returning Wild symbol for you and take you Re-Spin mode. Every time Goldwyn appears on a reel, you will get a Re-Spin. You get to pile earnings and rewards as long as Wild symbols appear and are transformed into Returning Wild symbols. When your luck with Re-Spin Wild symbols runs out, you’re given a Final Re-Spin round. During this Re-Spin mode, the only wild symbol that may appear is the Re-Spin symbol and the Free Spin mode cannot be triggered within this mode. We certainly hope to see more of Just For The Win’s productions on Videoslots.com in the near future. With all of three wild symbols and two game modes on top of the main one, this developer has shown it has what it takes to deliver an exciting slot, not to mention the top notch graphics with the array of fairies and gems weaving their magic on the reels. The RTP is set at a rather high 96.28% so, what are you waiting for? Get spinning and explore the wonders of Goldwyn’s Fairies and their magical forest of riches and fun!